Boggler Blogger: 8 songs from MOJO’s Retro Rahman that made the night, LIT! 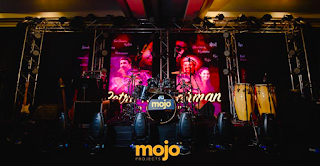 8 songs from MOJO’s Retro Rahman that made the night, LIT! 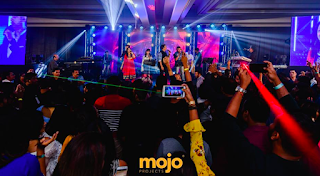 I’m pretty sure you already know what kind of Rahmaniac I am by now with my previous article, Rahman and Me and that would’ve been enough to show you how excited I was with MOJO Project’s Retro Rahman. This is the closest I’ve ever been to his live music and it is because Retro Rahman was a genuine effort of bringing the man himself here, by arranging his singers to be a part of Mojo’s round 3 concerts of 2018, Retro Rahman. Out of all the songs sung that night, I handpicked 8 songs that are close to my heart, that cradled me back to A.R.R.’s golden era, the 90’s. “Chinna Chinna Aasai” is the first song I sang, with the karaoke set we have at home. I can’t be sure how old I was, but I remembered on how beautiful Vairamuthu has penned this song, that liberates a village girl’s thoughts on how beautiful life can be, without the luxuries we have in life. 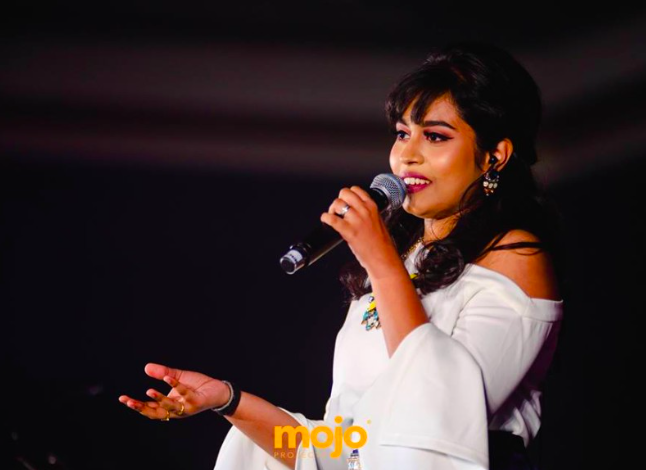 Haripriya got up on the stage last Saturday and owned the song, creating a whole new version that was equally good as the original. I have never heard Haripriya singing this but the innocence that is portrayed in her young voice was simply beautiful. She did utmost justification to the song, and I’m pretty sure she’s another Minmini in the making! Who else can justify the song “Ennavalae” that the voice that was chosen by Rahman Ji to be recorded for the hearing pleasure of all. Over 2 decades has passed, but this song is still the theme for many lovers till today. No one can deny the cozy feeling this song gives upon hearing it. 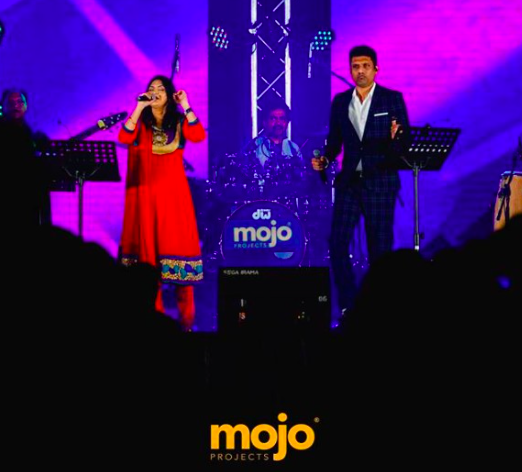 But MOJO’s style isn’t only bringing the talent to perform what they can, but to spice it up, adding more colours to the song. For this, credits goes to the crowd’s favourite Nikhil, on the flute! 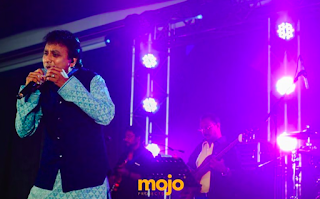 Nikhil’s flute added such magic to the song, and lifted the spirit. In return, he received many proposals from around the ballroom. If you ask me to choose top 5 all time Rahman songs, “Vennilavae” would be in the list. I love this song so much and because I have heard this song on repeat since the song first came, I am very sure I know the niche bit and pieces of the singing that singer Hariharan put in, that made this song an absolute crowd favourite. Singer Unni Menon performed this song at ease, to perfection. I can say that I wasn’t a huge fan of him till I witnessed his talent in person. It takes a lot of guts for a well-known singer like him to perform a well-known song from another well-known singer (Hariharan) on live stage. To me, he justified this beautiful composition very well. “Nila Kaigirathu” was Singer Harini’s first song, as a playback singer. It was also recorded when she was only 15 years old. I couldn’t help but wonder how many times did she sing this song on and off stage, as it is basically Harini’s trademark song. The song captures the innocence of a child who is enjoying the small parts of life that the adults are too busy for. This feel good song definitely put the whole group of audience in a warm, cozy mood with the Harini’s voice that felt like honey to the ears. Another song that didn’t age with our fast paced life, it felt to be reminded that this is in fact what we need. 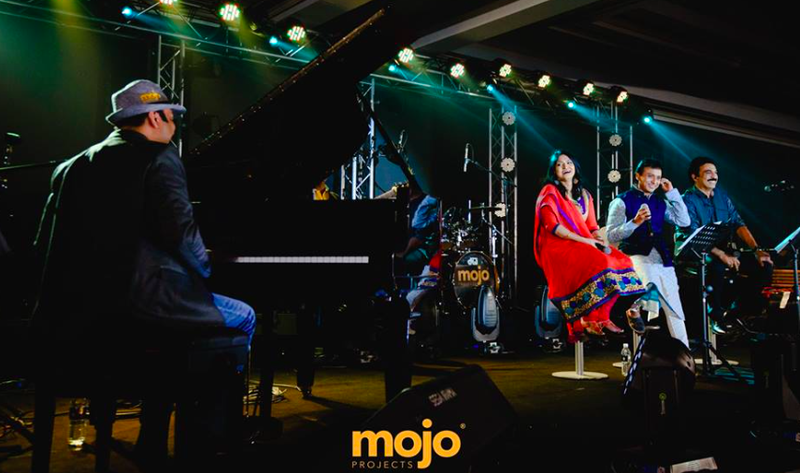 This painfully beautiful song was sang by Haripriya, is close to both her and me. For her, its because this is the song she sang which caught A.R. Rahman’s attention during Super Singer Juniors. For me, oh well, I have already spoken enough about it. This emotional song felt different in person, live on stage. It felt stronger, it felt connected and it was simply breathtaking. 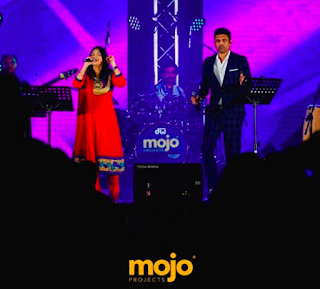 Thank you Haripriya for choosing to perform this song. The surprise element “Telephone Manipol” carried was indeed jawdropping! 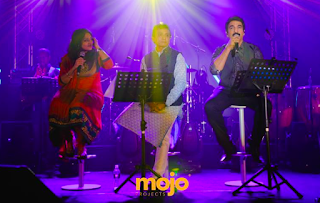 Who expected our own THR Raaga’s Aanantha to sing a duet with Harini? And it was finesse! I really appreciate your guts to agree to this and you did a wonderful performance matching to singer Harini, Aanantha! 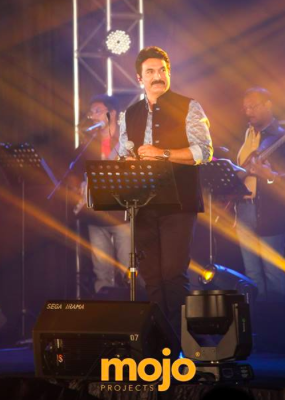 Singer Unni Menon was quick to realize that Nikhil the flute artist was stealing the show and after his performance for “Nathiyae Nathiyae” he mentioned that Nikhil is going to have the largest fan base among the audience at the end of the day. Nikhil’s flute performance to compliment Unni Menon’s voice was magical. What can I even say about Unni Menon’s Nathiyae Nathiyae? It gave me goosebumps. The song felt live and real. I may not use the exact words to explain this, but a humble personal opinion for this song is that “Nathiyae Nathiyae” live was way better than “Nathiyae Nathiyae” in the movie. If you know me, you know the deep deep appreciation I have for Urvasi! It was a trendsetter, and till date my wake up song, whenever I’m feeling sleepy or groggy at work. This song keeps you going! The last person that I expected to pick up the mic when this music started was Unni Krishnan. 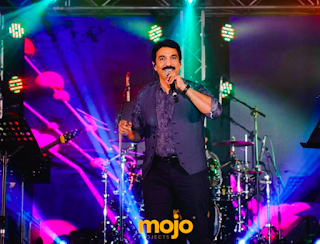 The sweet, cute Raju Bhai basically transformed to a whole new avatar and it was fun to watch him move as he sings this upbeat song. Although it wasn’t mirroring the original or what Benny Dayal would’ve done, it was definitely a great effort coming from this 40-year-old man who is very much of an introvert. All in all, Retro Rahman was a beautiful effort to bring the composition of Mozart of Madras to live and I owe MOJO a big THANK YOU. Thank you for not limiting this event to be a 90’s A.R.R. Thank you for handpicking versatile singers like those who performed. Thank you for having the round by round arrangement and portraying many many genres. Thank you for hosting this beautiful night, star studded, yet very well balanced!